Some of the common signs that your animal is having a seizure include twitching of the eyelids/lips/body, abnormal leg movements (often can be stiff but can be flaccid), chatter of the teeth and decreased consciousness. Other common signs may include your pet may defecate, urinate, salivate (drooling), vomit or have diarrhea. Seizures may feel like they last forever, but in reality they commonly last a few second to minutes. If your pet is having a seizure lasting more than a few minutes, they should immediately be taken to the veterinary emergency clinic for further care and treatment. What to do during a seizure? Make sure you stay calm. Seizures can be very scary for both owners and their loving pets. This is not a time to panic but instead be proactive by making sure your pet is in a safe place. You can use towels or pillows to protect or move your pets’ head and also to keep him/her steady without falling off the couch or stairs. During a seizure, owners can lower the lights or cover your pets eyes with a small towel or blanket. The decrease in stimulation can be calming to your pet as they come out of the seizure. If possible, record a video to show your veterinarian. What NOT to do during a seizure? While in a disoriented and confused state, your pet can accidentally act aggressively and bite. It is important to not pick up or put your hands/face, other family pets or young children near your pet while they are have a seizure. Safety for everyone is the main goal of getting through a seizure successfully. What to do after a seizure? After a seizure it is important to continue to monitor your pet. They may have a post seizure phase that can involve them being very sleepy, confused and/or show signs that lead into another seizure. Another task would be to think back and record any triggers or clinical signs that may have occurred before your pet had the seizure. It is also a good idea to record; the date, time, clinical signs, how long the seizure lasted and how many seizures occurred. Lastly, please contact your veterinarian to discuss details/questions and schedule a vet visit. It is important to discuss these details with a medical professional in order to help figure out the cause of the seizure and ultimately to avoid any future seizures. Your veterinarian may recommend diagnostic testing to try to find a cause for the seizure and medication to help prevent future seizures. One of our greatest challenges in the office is dealing with fearful pets. It makes it harder to do a complete and thorough examination, can change lab values for blood tests, and is a horrible stress on the pet and the owner. As many of you know, Dr. Stephanie Waters has been certified as a Fear Free Veterinarian. She has taken post graduate education to help her help your pets have better experiences both at home and in the office. We have seen many pets show great progress with some of the techniques that she has brought to our office. There is an upcoming event that she will be attending and as a public service, wants to share with pet owners. While we are not presenting or sponsoring this event, she will be attending and hopes to see owners with fearful pets there. So, if you are available and the subject matter will help you, please consider attending. Look for her and say hello. Hopefully, she won't be dressed like this. Do you have or know a fearful, shy or aggressive dog? Please read below for an overview of an upcoming event that may be life changing for you and your family! Dr. Waters will also be attending this event because she knows learning new techniques and ideas can be very helpful with her fearful dog Revit Waters. This seminar will feature information about why dogs behave the way they do and the most effective and humane ways to change problem behaviors in dogs. Pet owners, shelter and kennel staff, groomers, veterinarians and technician, dog trainers, pet sitters, day care staff, and anyone else interested in dogs will find this an informative and enlightening seminar on dog behavior! The content in this presentation is based on the scientific study and research of animal behavior and how dogs learn. This information is the foundation for further and continuing learning about working with fearful dogs. - What is learned helplessness? This event is hosted by Dana Seyfriend & Next Generation Dog Training, Long Island NY. Dana is a Pat Miller Level 1 Academy graduate and a Pat Miller Affiliate trainer. Two of her household of five dogs are fearful dogs. They inspire and motivate her as a trainer, and are her teachers of empathy and compassion towards all who live and work with fearful dogs. * This is a people only event, no dogs please. 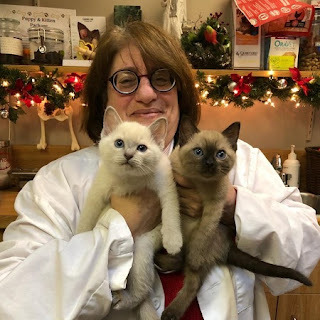 I'm going to try to highlight some of the services and events that Crawford Dog and Cat Hospital offers to the pets and their owners in Nassau County and Queens in a series of blog posts. Today, House Calls. I have been making house calls on Long Island since 1990. Originally it was all I did, but as the practice grew, I had hospitals that needed my attention. 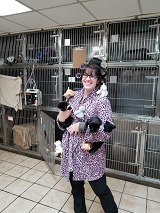 Now, we are back to a single location and the staff at Crawford Dog and Cat Hospital are on the road almost every day, visiting our patients in the comfort of their own homes. Many practices claim that they make house calls, but just try to get an appointment. That's when you'll find out that the one doctor that does go out for home visits is available on alternate Mondays when the moon is full. At Crawford Dog and Cat Hospital, Drs. Niesenbaum and Waters are on the road most weekdays. We are fortunate that Dr. Wu is available to hold down the fort back at the office so that one of us can usually sneak out. Now, that doesn't mean that we are available for emergency calls, we just can't always fit those in. However, if you do have an emergency, John and Hector will jump in our ambulance for pet transport and bring your pet to us. We can almost always accommodate an emergency pick up. Our technicians, Kim, Miriam, and Ellie are also on the road, doing blood draws, nail trims and laser therapy along with other outpatient services. Who uses our house call service? Lot's of people prefer to have us come to the home to help with their pet's veterinary care. Many of our senior owners have difficulty transporting their pets to our office. People with multiple pets will often find it easier to have us come out and see everyone in one visit, rather that ferrying pets back and forth to the office. Cats especially appreciate not being put in a carrier for transport and prefer the comfort of their own couch for veterinary visits. Older pets have difficulty getting into the car and are more comfortable in their own beds at home. What services are available in the home? Our doctors can perform most outpatient services in the comfort of your home. Examinations, vaccinations, blood tests, physical therapy, and even needle biopsies and skin cytologies can be done without a trip into the office. Dr. Waters has a special gift when working with anxious pets as she is fear free certified and has a whole bag of tricks to put you and your pet at ease. And of course, when the discussion turns to end of life care, our staff can offer palliative care programs to keep your pet comfortable until it is time for them to part. We offer compassionate euthanasia services at home so that you don't have the stress of taking your pet out of the home for that final trip to the vet. We can make whatever arraignments that you want for care of the body, including holding your pet for burial, individual cremation with the remains returned to you, or group cremation. How do you schedule a house call? That's the easy part. You can call our office at 516 746-1566. Or, request a house call by using our on line form. Someone will get back to you to confirm the appointment. So, if the stress or inconvenience of a trip to the vet is keeping you from making sure that your furry friend is healthy, give a house call a try. Remember, keep the light on for us. As the newest member of the Crawford family, I’m delighted to have this opportunity to talk a bit about veterinary practice. First, though, I want to thank everyone at Crawford Dog and Cat Hospital: the doctors, the technicians, the assistants, and the staff. They have made me feel welcome and have given me all the support I need. Many thanks! Although I do love all animals (well, except spiders), I have worked solely with felines since I graduated from veterinary school in 2004. Cats are an endlessly fascinating species. Their personalities vary from calm and people-oriented to very active and….not so people-oriented. The science of ethology is the study of animal behavior, especially normal behavior in their typical environment. What we learn about this can help us devise ways to work with them in an “abnormal” environment, such as a hospital or clinic. 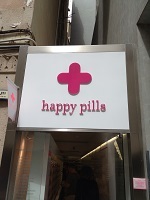 In addition, we can also rely on medications and nutraceuticals (chemicals that are not drugs but can help with certain behavioral or health problems). We use many supplements, techniques, and sometimes medications, to decrease your cat's stress and make your visit easier. Feel free to call us before your appointment so that we can help make the experience as pleasant as possible for everyone. We talk a lot about the Human-Animal Bond (HAB, for short). Cave paintings in Lascaux, France, dated to 20,000 years ago, depict animals, not humans. The importance of the animal for food, clothing, and shelter is evident. The nature of the relationship we have with domestic animals varies quite a bit from family to family, and even country to country. In many places, animals are used for work, or for play, but are never brought into the house. In some countries, what we think of as companion animals are quite rare, and food animals are of far greater importance. Watching fish swim has been known to cause human blood pressure to decrease. People with dementia, such as patients with Alzheimer’s syndrome, can improve their personal hygiene and communication when they get regular visits from a pet – even as little as half an hour, once a week. Children who have communication issues such as speech and language delay can become more interactive when working or playing with animals. A famous example is the interaction between horses and children on the autism spectrum. In many cases, the HAB is so strong that many homeless people who have pets will refuse to go into a shelter because animals are not allowed. Recognition of these facts is crucial in working with people in these situations. The fact that you bring your animal companion to the veterinarian shows how strong that bond is. We applaud your caring! I look forward to meeting everyone, furry and otherwise, as we go along. I am in the clinic on Sundays, for our cat only office hours. Stop by to visit, say hello, or to tour our new feline boarding area. We’ve gotten several calls about the FDA press release last month with respect to oral flea and tick control products and adverse effects. Considering that here we are, well into November and the temperature is still cracking 60 degrees, well above the active temperature minimum zone for parasite activity, I thought that I would address the issue. First off, I think it is important to realize that ticks and fleas should be a concern beyond the icky factor that bugs crawling on our pets elicit. These parasites carry diseases. We know that ticks carry Lyme disease which can infect dogs, cats and us. But they also carry Ehrlichia, Anaplasma, Rocky Mountain Spotted Fever as well as a host of other diseases. One tick causes an allergy in people (and possibly pets) to red meat. That’s right, one bite and say good bye to slow cooked barbecue next summer. Fleas can carry a host of diseases as well including Bartonella (cat scratch disease) as well as typhus, plague, and tularemia. So the question is not should you use flea and tick control, but rather which product is the safest and most effective. Historically, (going way back to ancient history), we used really toxic products, many banned due to their horrific side effects for pets and people. These sprays, dips and powders killed fleas and mammals. I think back with a shudder to the summers that I worked in kennels as a student applying organophosphate dips to dogs. No fleas on them, and no mosquitoes on me. Hopefully, I’ll have no long term ill effects. A revolution in flea and tick control came about with the release of Frontline. The active ingredient is Fipronil to kill adult fleas and ticks paired with a growth inhibitor to prevent the immature fleas from developing into adults. The product was safe for mammals and when applied once a month prevented fleas and ticks from pestering our pets. It is actually used in agriculture as well to treat food crops. It was rapidly followed to market by Advantage and Advantix (dogs only) for topical use to prevent flea and tick infestations in our pets. A host of over the counter products made their way to market, some less effective, many more dangerous. A few years ago, we started to notice that there was resistance developing in the fleas and ticks and these products were starting to lose their effectiveness. Bayer had the next innovation in external parasite control. The Seresto collar kills fleas and ticks for up to 8 months. We have found them to be very safe and effective, for both dogs and cats. The efficacy is diminished by frequent bathing so we recommend changing the collars every 6 months. This is the product that I use on Bella. Many people don’t like the idea of a collar and their cats do not go outdoors. That does not put them at zero risk for fleas or heartworm, although the chances of picking up a tick is quite low. For these pets we recommend Advantage Multi or Revolution once a month. This product will safely prevent fleas, heartworm and intestinal parasites. Combine with the collar for full protection. We did have a case of feline heartworm this month in a cat that hasn’t been outdoors for over 10 years. Go figure, mosquitoes can get in the house. The next round of products to market was for dogs. Isoxazolines are an oral product that will kill fleas and ticks, some for up to 3 months (although not all ticks and not as well as the monthly products). These are the products that the FDA released the new warnings about, so let’s talk about that for a bit. We recognize our clients’ concerns for their pets’ safety and continue to monitor studies as they become available. Not using flea and tick control is not safe either as insect borne diseases are seriously dangerous to our pets and ourselves. We are striving to provide a balance so that we can keep our pets and families safe. Cats age faster, even than dogs in the first few years. In the first year, cats become 15 in human years; after the 2nd, they are 24 human years. Every year thereafter they gain another 4 years. A lot of changes can happen over these years. Annual examinations help us to detect changes and provide preventative care. Cats are survivors who know how to mask disease and pain until they are so far gone, it makes it difficult for anyone to help them. By bringing them in routinely, we can examine and evaluate them for earlier signs of disease. By detecting diseases earlier, we have a much better chance at helping them. They are not just “fluffy.” More than 50% of cats are overweight, which puts them at risk for diabetes, heart, kidney and lung disease. We can help regulate a diet and exercise plan to keep your kitty from becoming a statistic. Adult cats have 30 teeth that most owners never brush. And those mouths get gingivitis and cavities that can be so painful, their teeth chatter when we touch them. Let us check out those teeth and make plans to keep them healthy. So how do I get unwilling “Fluffy” to the office? Get a carrier that feels safe - a hard-sided carrier with top and front doors that can have the top removed. Try stuffing your cat into a tiny carrier door and you'll understand why it's nice to have the top hatch through which you can lower her into the carrier. Being able to lift the top off at the office so she can still hide in the towels make her feel safe. Leave the carrier out for a week before using it so your cat can get used to the smell. You can place treats in the carrier so he associates good things with it. He may even climb in it to check it out on his own, it makes a nice hidey-hole! If your cat is a bit resistant or aggressive about getting into the carrier, we can occasionally provide medicine or recommend products like Feliway to calm him down before coming. Call us for sugggestions. And if all else fails and there is no way you're getting your cat to come into the office, we also do housecalls! Call us to set up an appointment for a doctor to make the trip to your cat instead. Call us to schedule an appointment or request an appointment on line. We are working on special offers for this event, so stay tuned to Facebook and check your e mail for details. This Article can be found on our pet informational page . It is provided for our clients courtesy of Veterinary Information Network and is protected by their copyright. Additional articles about cruciate ligament injury in dogs as well as other pet health topics can be found on the same web page. We would like to thank Dr. Wendy Brooks for the article and hope that it is helpful for owners with pets that have knee injuries. There are three different surgical repair techniques commonly used, and a fourth method that has fallen out of favor in recent years. Tibial Plateau Leveling Osteotomy (TPLO)This procedure uses a fresh approach to the biomechanics of the knee joint and was developed with larger breed dogs in mind. The idea is to change the angle at which the femur bears weight on the flat "plateau" of the tibia. The tibia is cut and rotated in such a way that the natural weight-bearing of the dog actually stabilizes the knee joint. As before the knee joint still must be opened and damaged meniscus removed. The cruciate ligament remnants may or may not be removed depending on the degree of damage. ConfinementEnhancing recovery post-operatively is largely about strict confinement early. This cannot be over-emphasized. Be prepared to crate your dog our employ a pen such as a child's playpen depending on the dog's size. A corral of sorts can be constructed with boxes and a baby gate. Be sure you understand the instructions with regard to gradual return to exercise over several months. GlucosamineOral joint supplements such as glucosamine contain cartilage building blocks to help the body repair cartilage damage. This is an excellent time to begin supplementation and there are numerous brands. Weight ManagementOverweight dogs have an increased risk for arthritis and for cruciate rupture. A weight management program can reduce the potential for arthritis and can reduce the risk of rupture of the opposite cruciate ligament. If your dog is overweight, ask your vet about a weight management plan that might be started during the recovery period. Professional Rehab/Physical TherapyNothing compares to professional rehab for return to function. If you are lucky enough to have such a facility in your area, consider utilizing their services. A list of home exercises may be obtained and/or the dog can visit weekly or a few times weekly for exercise and treatment. Some facilities allow the dog to board and have daily treatment. Ask your vet about this option. If I say tick, most people’s immediate response is something along the lines of eww, or yuck, or gross. They are truly disgusting, and we have been seeing a lot of them on both dogs and cats in the office this spring. It appears that although the weatherman cannot predict whether or not it will rain in the next hour accurately, the parasitologists have hit the nail on the head with their prediction of a bad tick season this year. And, unfortunately, the cool, damp spring is not helping matters any. Most pet owners are worried about Lyme disease and with good reason. The incidence of infection with Borrelia Burgdorferi, the bacteria that causes Lyme disease is way up this year in our area. While Lyme Disease is an important problem for dogs and their owners, there are many other tick borne diseases that we need to be concerned about. Different ticks carry different parasites and we have seen spikes in positive tests for Anaplasma and Ehrlichiosis as well as Lyme disease this spring. Along with emerging diseases spread by ticks, we are seeing changes in the species of ticks that we are seeing in our area. Lone Star Ticks, named for the single white spot on the back of the bug (not for the state of Texas) are emerging as a problem, especially out east. They are problematic because many tick preventions are not as effective against this species as one would like. They also spread diseases like Tularemia and Human monocytotrophic ehrlichiosis. If that’s not bad enough, they also can cause a serious and sometimes lifetime allergic reaction to red meat. That’s right, as bizarre as it sounds, a protein in the saliva of the Lone Star Tick can cause it’s bite victims to become allergic to all red meat. A new species of east Asian tick has raised it’s ugly head in New Jersey and we are girding ourselves for it’s appearance on Long Island in the near future. 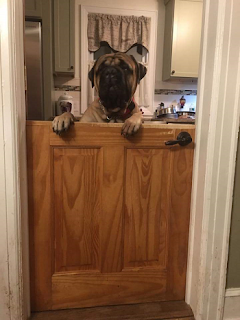 So, what can we do to keep ourselves and out pets safe? Stay out of tall grass when possible. Treat your yards if you are in high tick areas. Use an effective tick control product. We recommend Simperica oral chews or Seresto collars for our pets. Pyrethrin treated clothing for humans. Ticks need to attach for a period of time to spread disease. Check your pets and yourselves daily for ticks. A useful tool is a tape lint roller up and down your pet after it comes in. Ticks will stick to the tape. If you find an attached tick, gentle traction with a small tweezer, close to the skin will get the tick to release. Do not crush it with your fingers. If you need it identified, put it in a plastic baggie and bring it to your veterinarian. Have your dog tested regularly for tick borne diseases. It’s a simple blood test. We have effective vaccinations against Lyme disease, the most common tick transmitted disease in our area. If your pet is at risk, vaccination is imperative. We have a special program for testing, vaccination, and prevention with discounts and manufacturer rebates. Canine Influenza Virus (CIV) has been a cause of canine cough in the US since 2003. The original strain of the virus was first seen in racing Greyhound kennels and rapidly spread throughout the country and is now endemic to many states including Colorado, Florida, Pennsylvania, New Jersey and New York. The original strain of CIV is s subtype of an Influenza A virus, identified by it’s protein receptors as H3N8. It causes a dry hacking cough, similar but more serious than that associated with Bordetella, the bacteria that causes Kennel Cough. It is easily spread through direct contact, nasal aerosols (think coughing and sneezing), and fomites (objects and clothing that has been sneezed or coughed on). Since it was a new virus on the block, all dogs were susceptible to infection, there was no immunity. A vaccine was quickly developed and we were able to control infection in our pet populations. The game changed again in 2015 with the appearance of a new strain of the virus, H3N2 CIV. Unlike human influenza viruses, this was not simply an annual mutation of the virus but an entirely new strain. The H3N8 is still around. Originally appearing in the Midwest, H3N2 has since started to spread. We monitored the spread of the outbreaks (somewhat more severe than the original CIV infections) and since there was no spike in cases in our area, we did not change our vaccine protocols. However, an outbreak of H3N2 CIV has been identified just last week in Brooklyn and so now we are trying to get the word out to dog owners so that they can protect their pets. While flu season in people is winding down, dog flu season is just getting started. That’s because the risk factors increase as the weather gets warmer. We see increased exposure for dogs that go to boarding, day care, dog runs, grooming, social groups, or now, go into Brooklyn and they need to be protected against this virus. What does this mean for your dog? If your pet has any of the above risk factors, we recommend vaccination against both strains of CIV. An initial series of 2 vaccinations is followed by annual boosters. If you are anticiapating a high risk situation (boarding for example) the series should be completed at least 2 weeks prior to potential exposure. If your dog has had the H3N8 vaccine, it just needs the new vaccine. If it has not had a flu vaccine in the past, it will need to be vaccinated against both strains, which can be done at the same time. We will be setting up some clinic times for flu shots so that we can keep the cost down for owners. Patients of ours that have been seen in the past 6 months and have no health issues can just receive the flu shots without and examination or office call fee. If your dog is not a patient of ours, we will perform a courtesy examination during clinic hours to make sure that it is healthy enough to vaccinate before we administer the vaccines. Details for vaccination clinics will be posted on our facebook page so keep an eye out. We will also be reaching out to our clients via text or e mail to let you know when the clinic hours will be available. Our April 12th Free Pee Jubilee was a huge success! 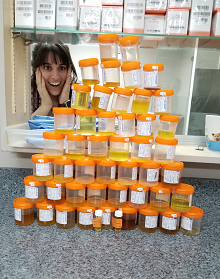 Thanks to all our clients who had the messy job of catching the urine, our staff for processing all those samples, and Stanley the Sedivue for analyzing all of them. Amidst the dozens of pee jokes all day, Stanley tested 58 samples of urine, which means we learned more about 58 dogs (sorry, nobody managed to collect any cat urine!) that day. By evaluating urine, we can screen for lots of diseases and possibly prevent some life threatening ones. Out of these 58 samples, we found abnormalities in 28 of them! We found 10 urinary tract infections, 10 with crystals, 9 with an abnormal pH. And, except for one known diabetic, all of those dogs were clinically normal; the owners were not expecting to hear anything was wrong with the urine. This result surprised us as well and confirmed our belief that something as simple as a urine sample can give us so much insight into our pets' health. Since our pets are very good at hiding illness, we all learned that getting that small sample can help us provide better health care for our patients. So the next time we ask you to bring in a sample, please try to get one, it could make a huge difference to your pet!